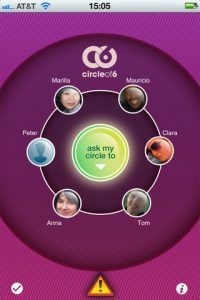 — “Circle of 6″ helps you get help in a dangerous situation. It sends a request to be picked up, along with your GPS location or asks your friends to contact you. You might ask friends to contact you because you’re talking to a boring person and you need the interruption. — “Plume for Twitter” gives you more power over your Twitter messages. This free app gives you a menu under each tweet. Mark it a favorite, share it, call it spam, reply to it, read the replies to it, or mute it. — “RedPhone” lets you make encrypted calls to users of the free app “TextSecure,” which secures your text messages. — “Transit” gives you schedules for buses, trains and ferries in 87 American and European cities.